I’ve always thought that chicken and beans go great together. 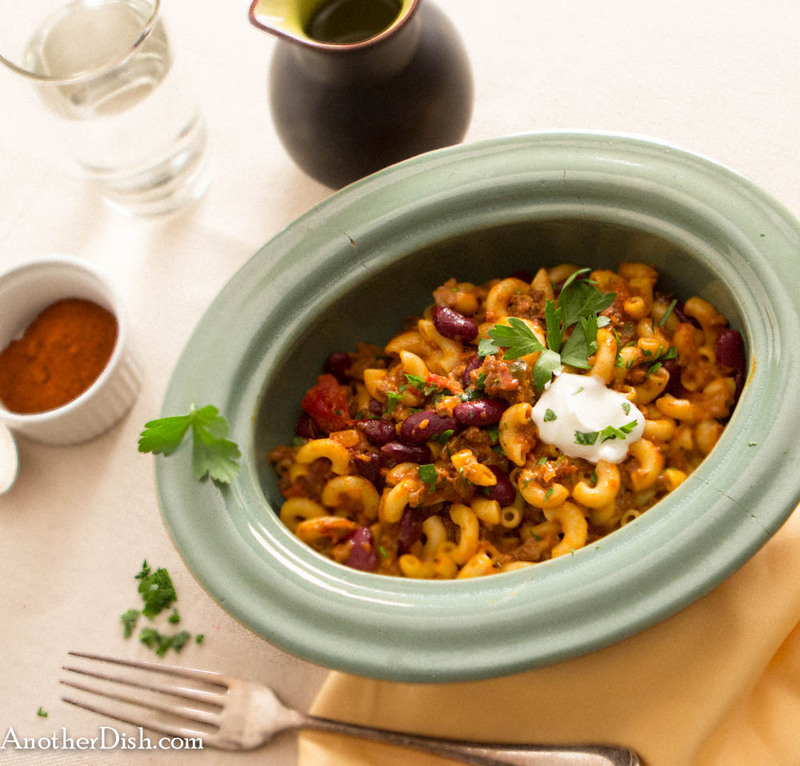 This recipe is a nice, North African-inspired version. 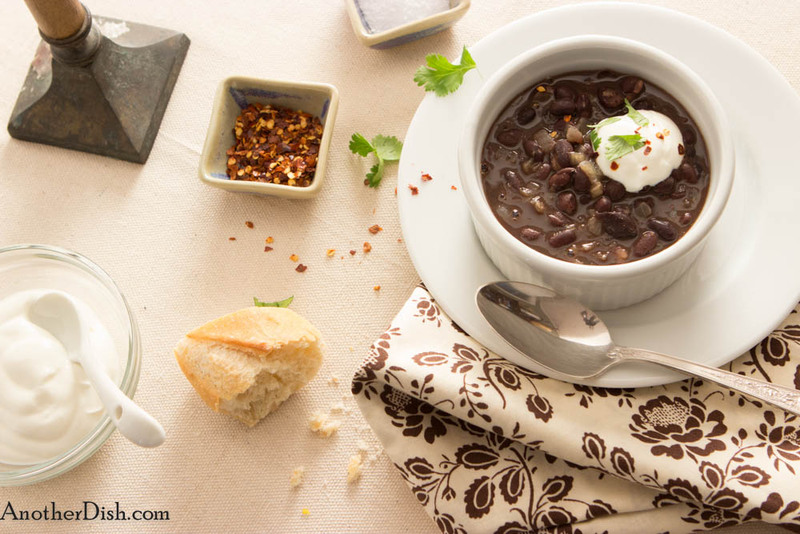 The beans dominate the recipe (thus “beans and chicken,” rather than chicken and beans). 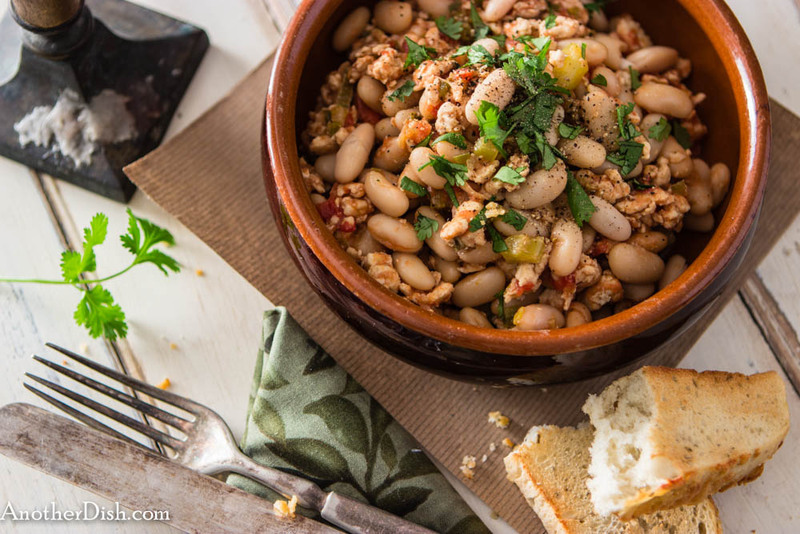 I think this dish would probably have been prepared with chickpeas in North Africa, but the cannellini beans are delicious with the North-African spice blend. I hope you’ll try this one! Heat the oil in a Dutch oven or large saute pan over medium heat. Add the scallions and saute for 2 minutes. Add the celery and jalapeño pepper; saute for another 2 minutes. Increase the heat to medium-high; add the chicken and brown, stirring to break up clumps (4 minutes). Add the garlic, cinnamon, cayenne pepper and cumin. Stir well to combine for 1 minute. Add the flour, stirring well. Stir in the tomato, stock and salt. Bring to a boil, then reduce to low. Cover and simmer for 12 minutes. Remove lid. Add beans and simmer for another 15 minutes, or until mixture has thickened. Add the sugar and season with additional salt to taste, if desired. Garnish with the cilantro, sprinkle with black ground pepper and serve. This entry was posted in Beans, Chicken, Main Dishes and tagged Beans, Cooking, Food, Food Photography, Foodie, Recipes, Spicy on October 15, 2013 by AnotherDish.